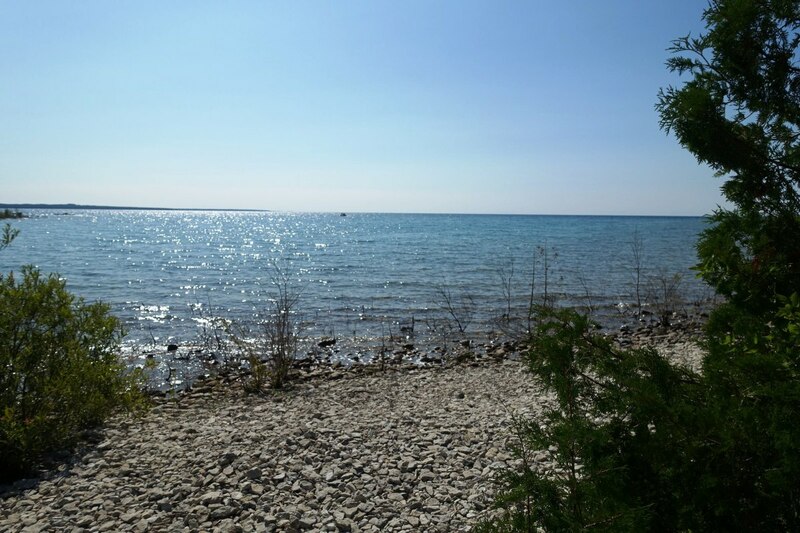 Lake Huron has the longest shoreline of any of the Great Lakes. 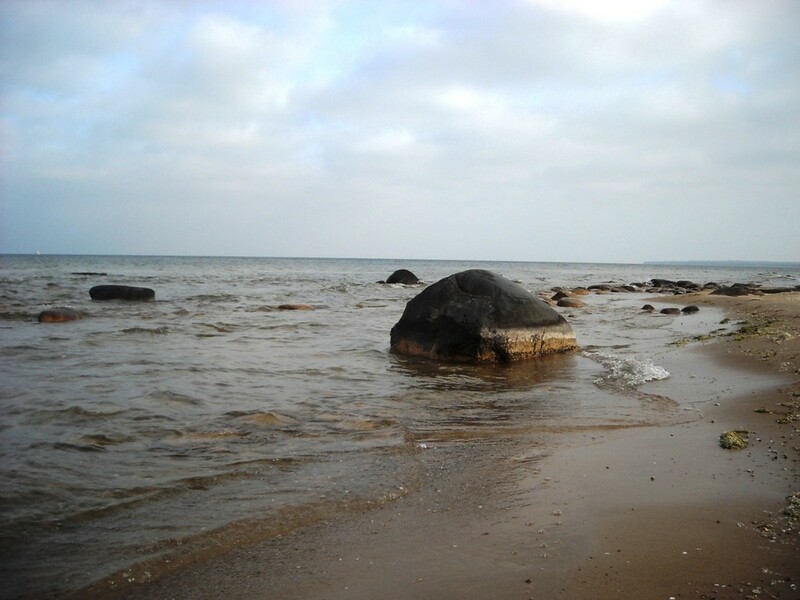 It is the second largest Great Lake and the fifth largest freshwater lake in the world. 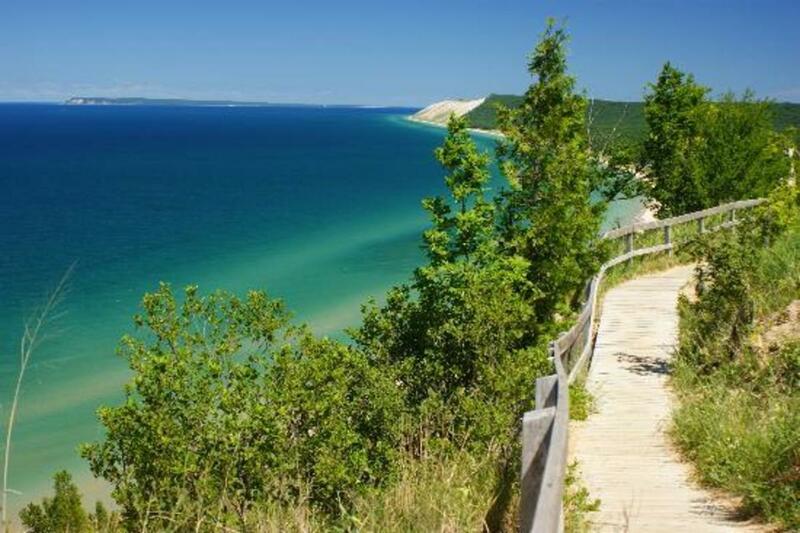 Lake Michigan and Lake Huron are technically one giant lake separated by the narrow Straits of Mackinac. 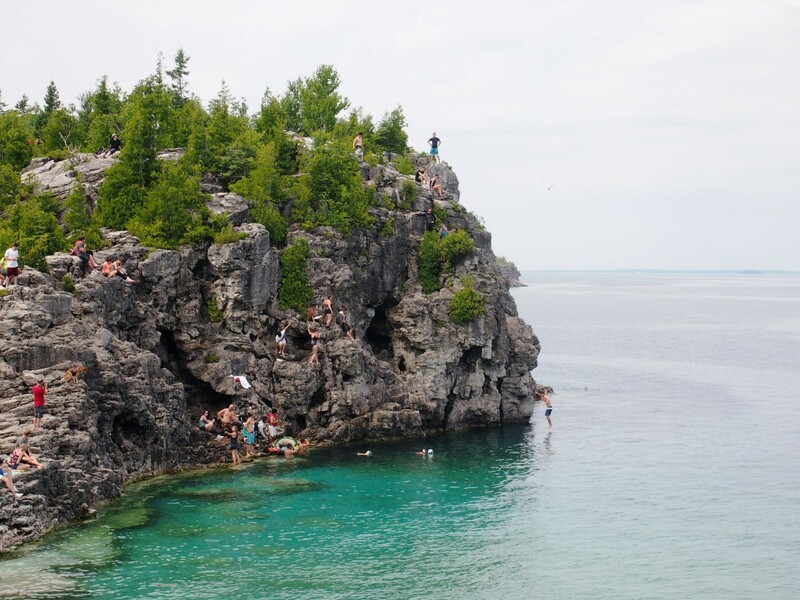 Lake Huron shares a border with Michigan to the west and Ontario, Canada, to the east. It is about 750 feet deep. 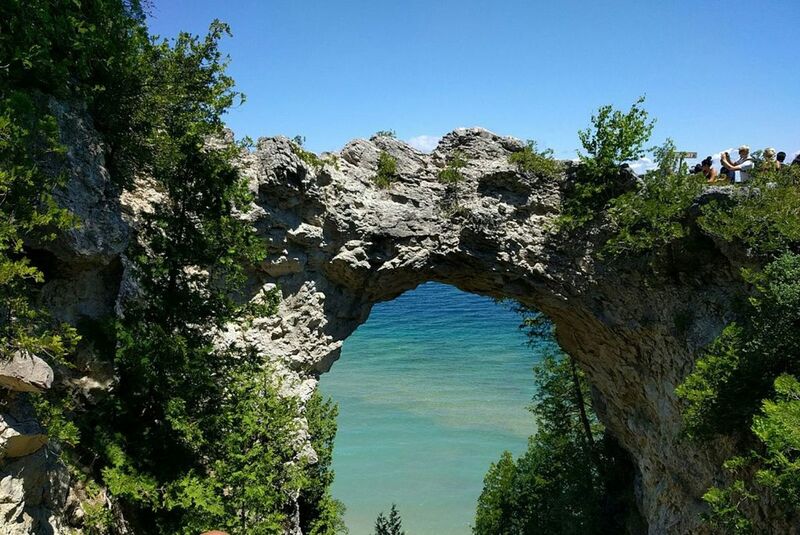 Here is a look at the best places to visit on Lake Huron. 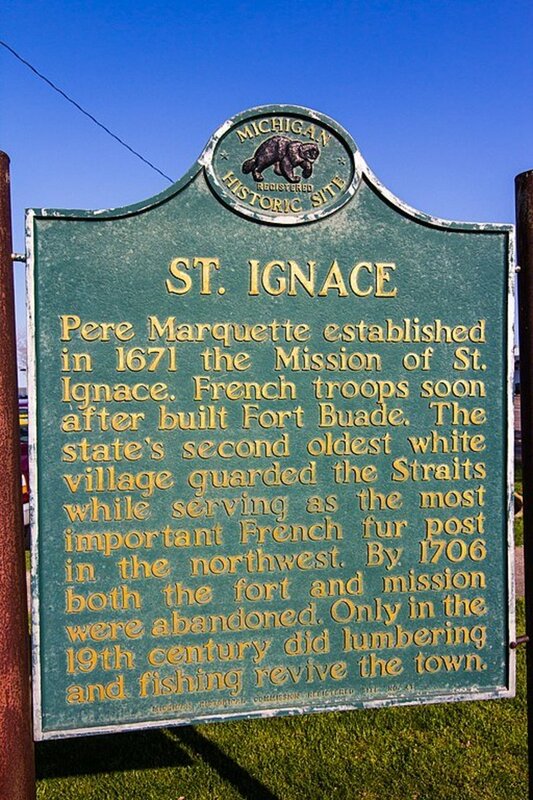 St. Ignace has existed for over 300 years. 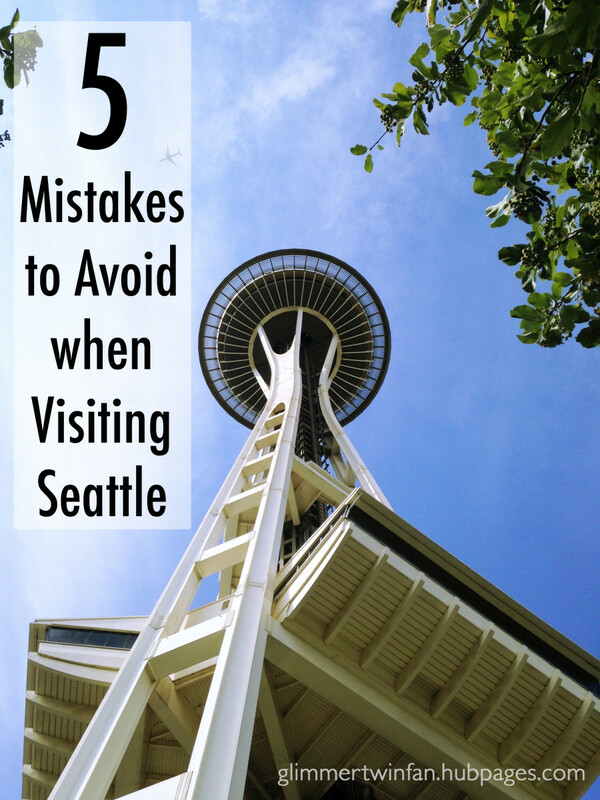 It is the third oldest city in the United States that has been lived in continuously. French explorer, Jacques Marquette established a mission there in 1671. 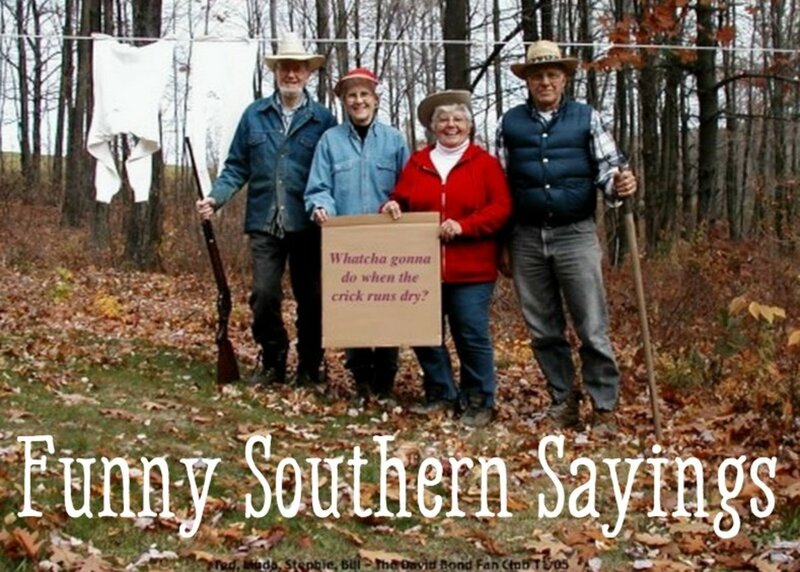 In 1705, it came under English control and then became part of the United States at the end of the Revolutionary War. 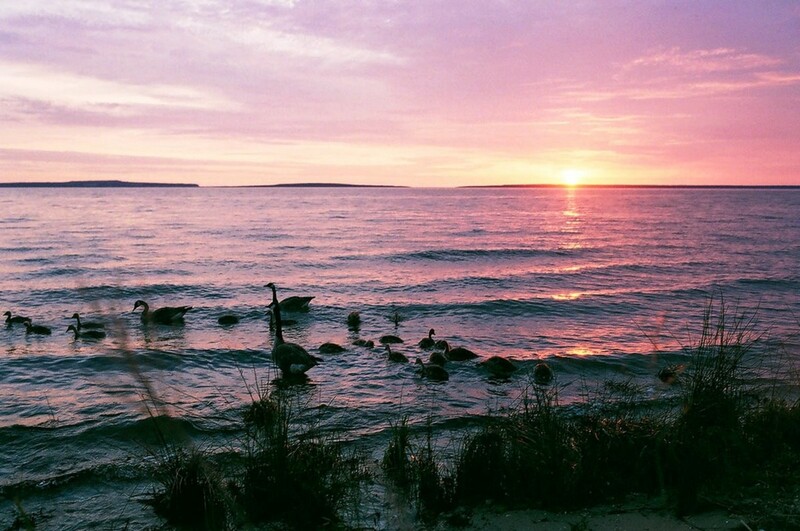 St. Ignace is on the northern end of the 5 miles long Mackinac Bridge and the gateway to Michigan's Upper Peninsula. 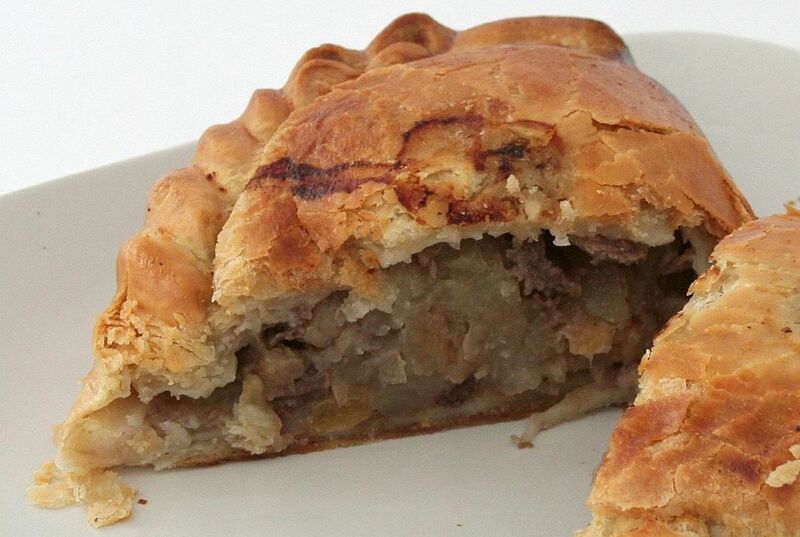 I highly recommend trying a pasty, which are a Cornish pastry baked and filled with beef, diced potatoes, rutabagas, and onions. Miners used to carry these down into the mines and enjoy them for lunch. There is nothing better to warm up with on a cold day. 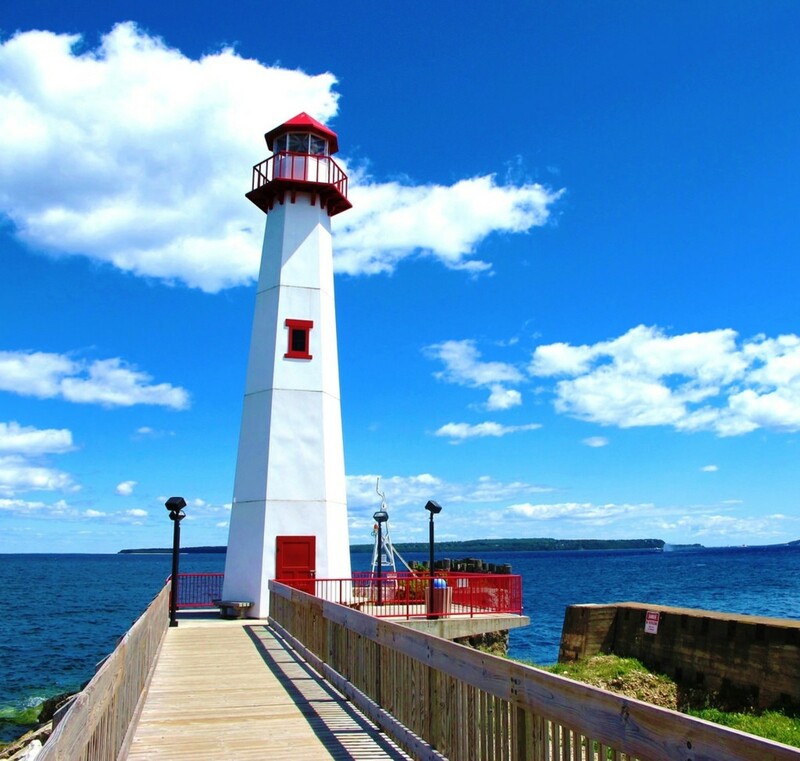 There are many things to do in St. Ignace. 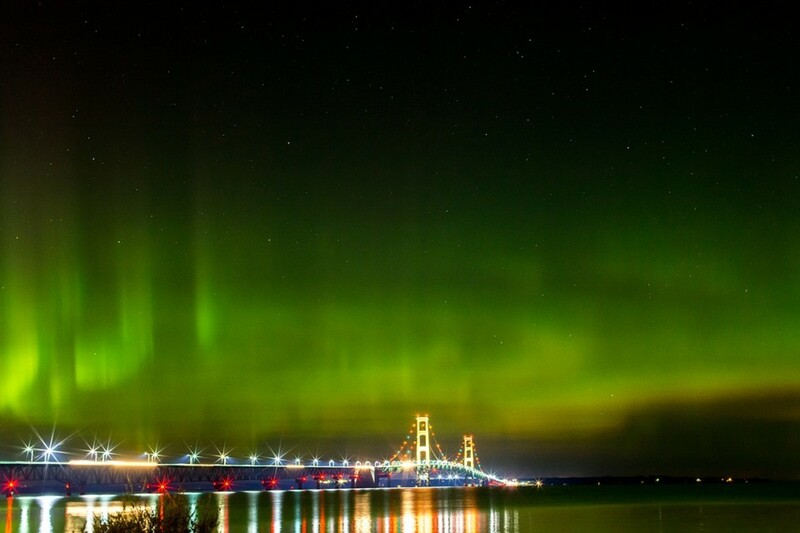 The Mackinac Bridge is the main attraction as it is the fifth largest suspension bridge in the world at 26,372 feet. 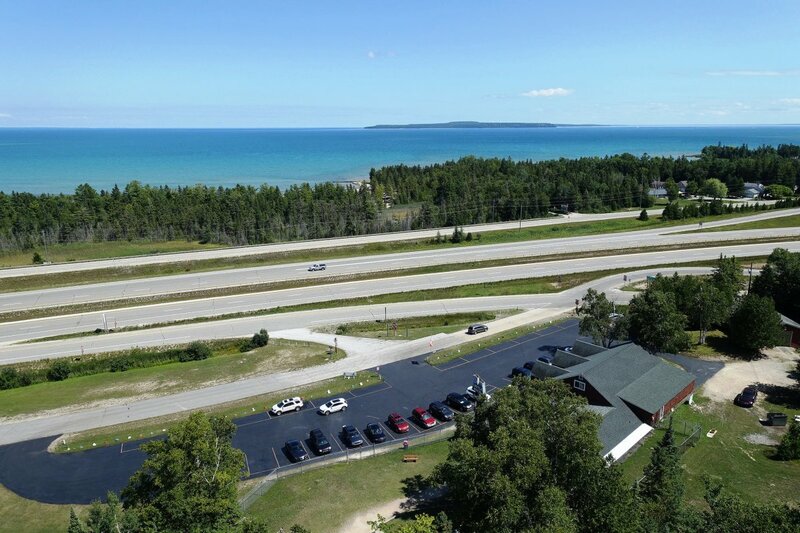 There are numerous viewpoints to see the bridge as it stretches across the Straits of Mackinac. 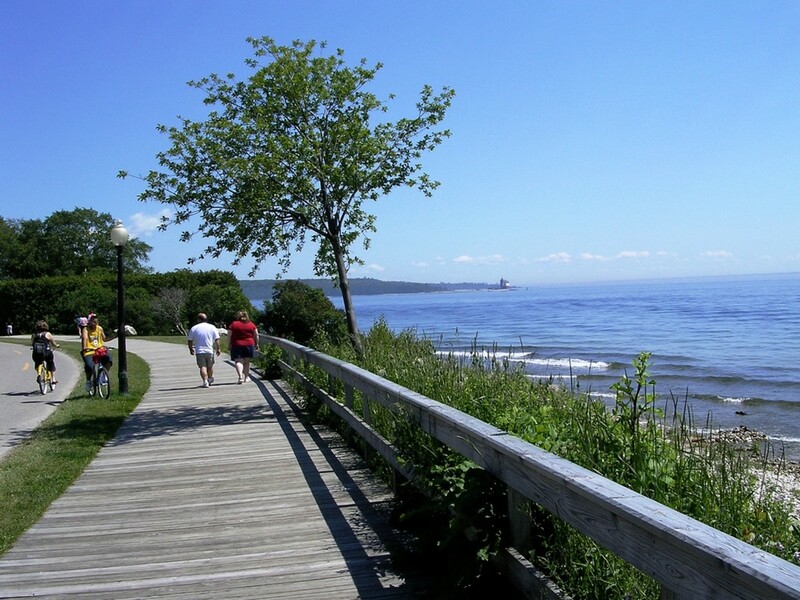 The best views are at Bridge View Park and Straits State Park which are both near the base of the bridge. 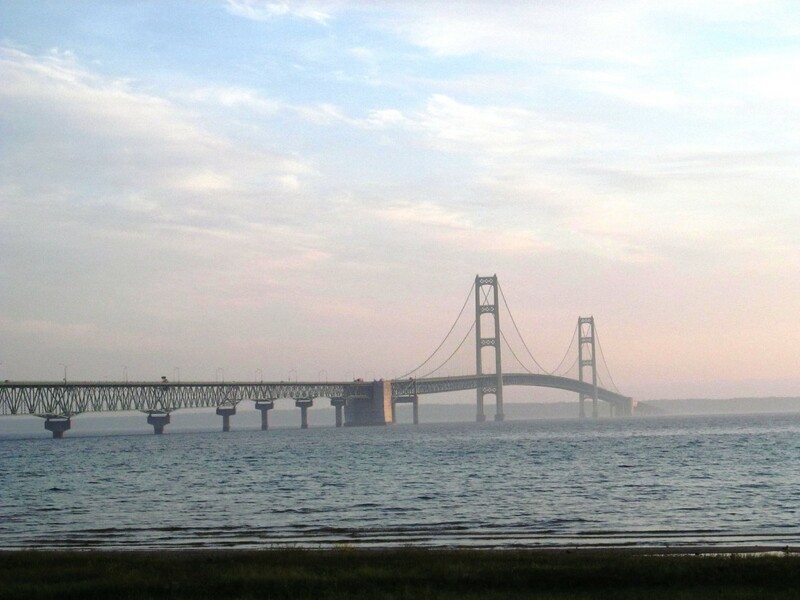 St. Ignace has two places to catch ferries to Mackinac Island. 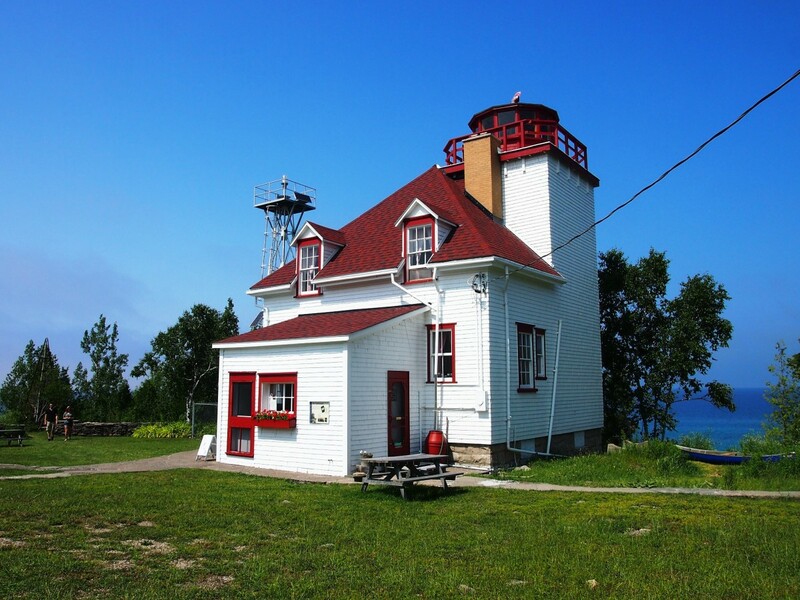 I recommend stopping by Wawatam Lighthouse and enjoying the views of Lake Huron and Mackinac Island. I also recommend checking out Castle Rock. 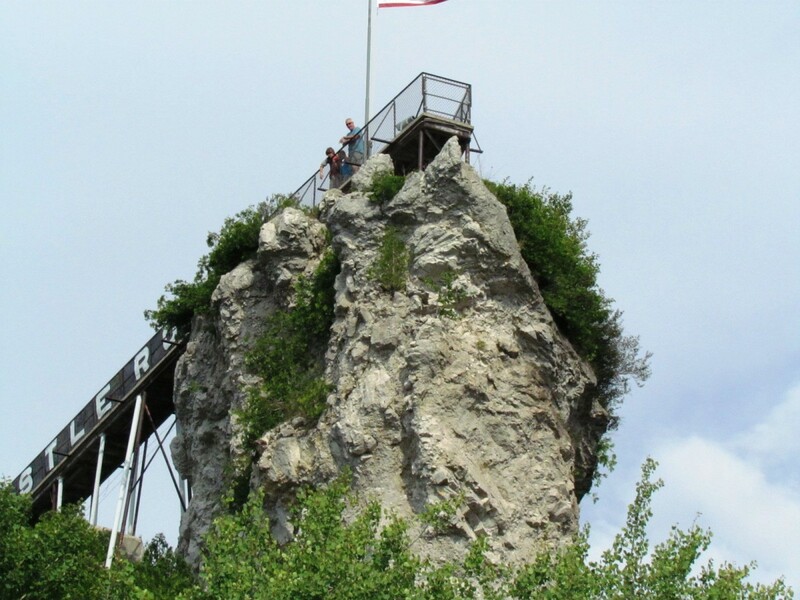 For $1, you can climb a bunch of steps to the top of a platform on a rock and enjoy the incredible views of Lake Huron and the St. Ignace area. As the leaves change colors in the fall, this is a must-see area. 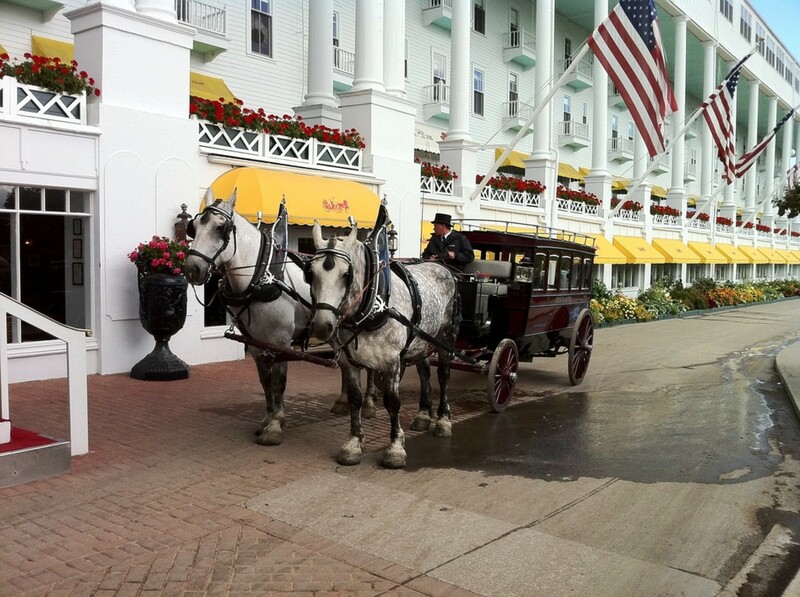 Visiting Mackinac Island is like stepping back in time. 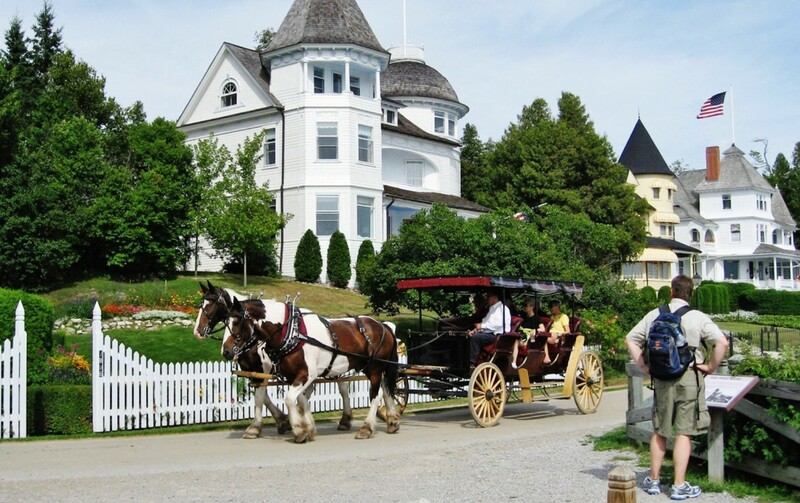 Transportation on the island is limited to horse and buggy, foot, or bicycle. There are not any motorized vehicles on the island. 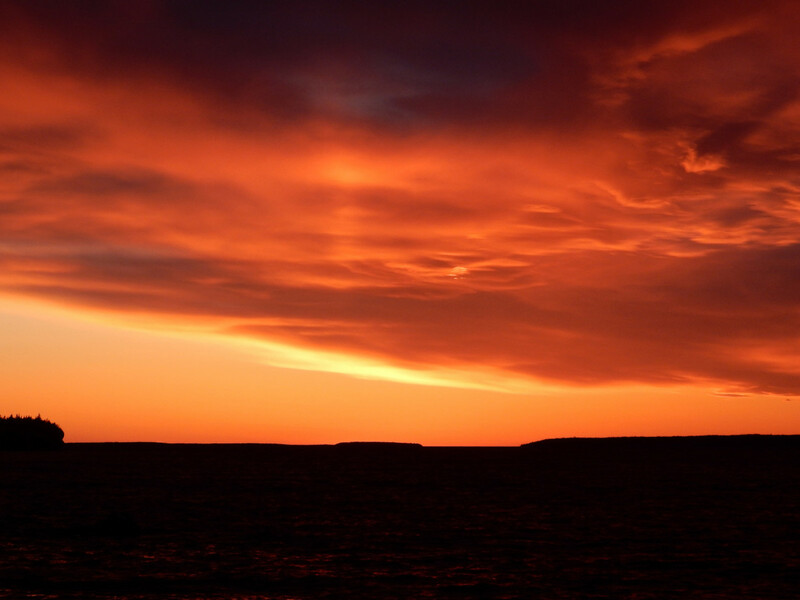 Visitors typically arrive at the island via ferry from either St. Ignace or Mackinaw City. Mackinac Island does have a small airport that allows for small jets and propeller planes. The airport is the only transportation to and from the island from January through mid-April. 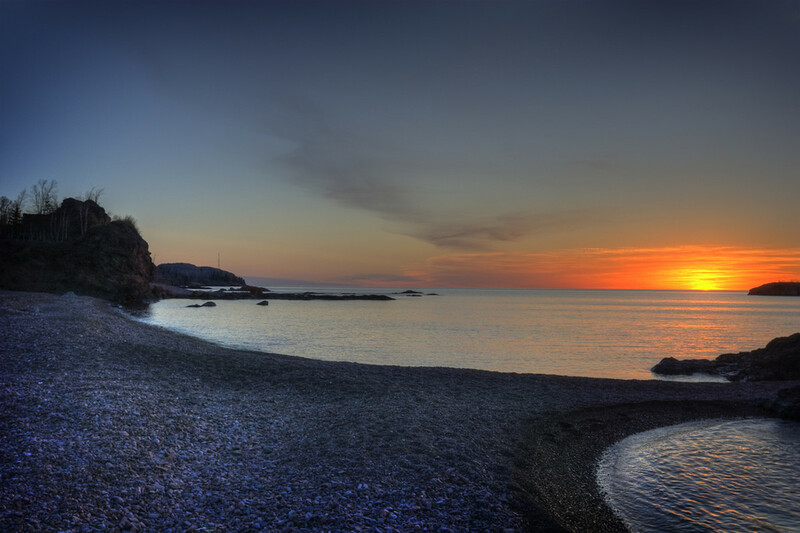 If visitors plan to spend the night, there are numerous one of a kind lodging options available on the island. 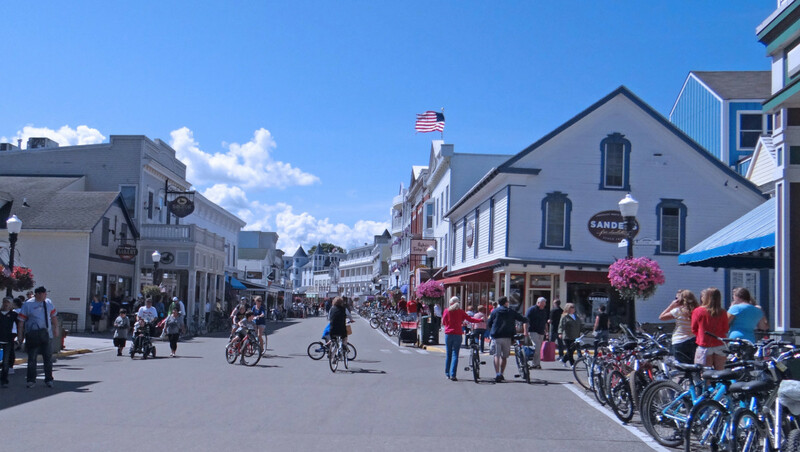 Mackinac Island offers the chance to unplug from the fast pace of life. 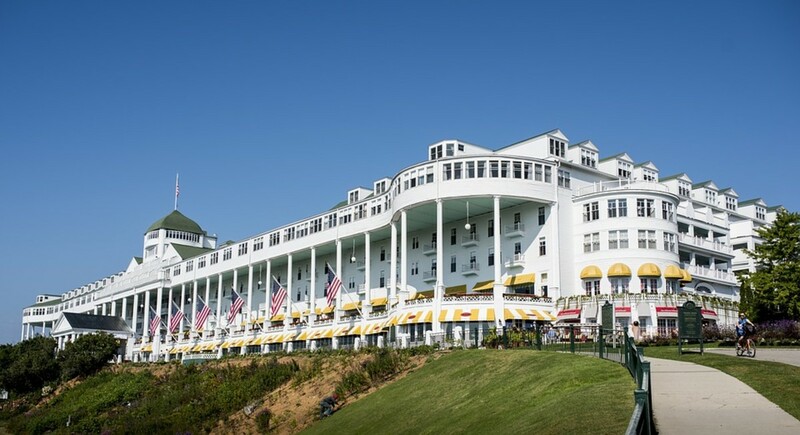 The Grand Hotel has a record-breaking front porch to sit on and soak in the incredible views. The island has a lot of things to see and do. I highly recommend trying some of its famous Mackinac Island Fudge that is sold in every flavor imaginable. Also, try Mackinac Island Fudge ice cream, it is out of this world. 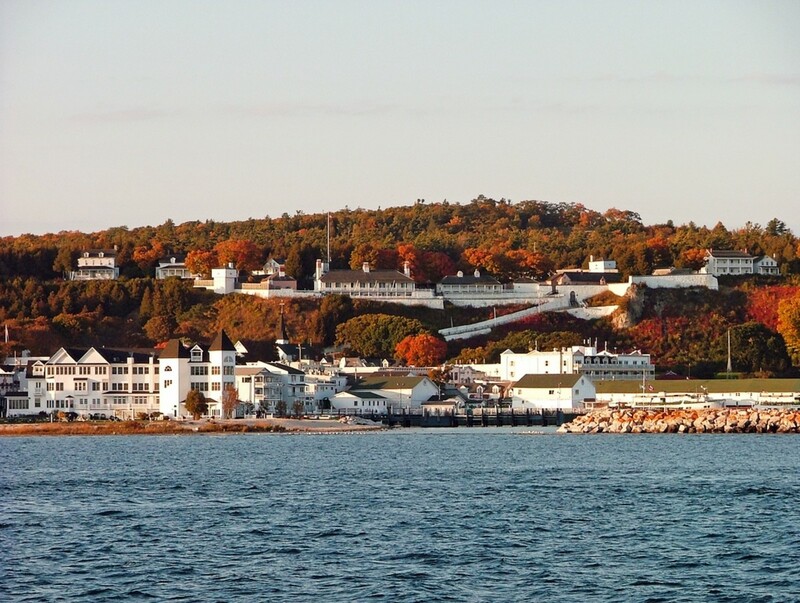 The island also offers miles of hiking trails, unique shopping, great food, and a chance to check out history at Fort Mackinac. The fort was built during the Revolutionary War to control the Straits of Mackinac. The United States took control of it 15 years after the war ended. 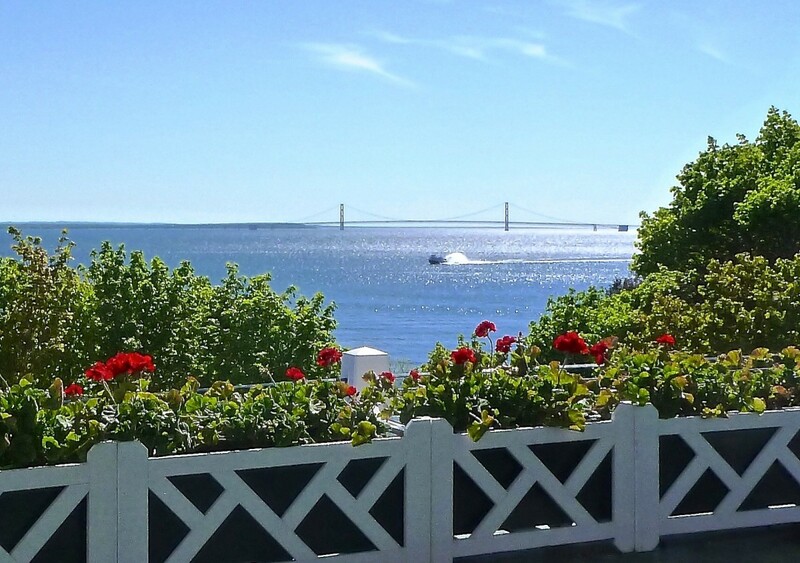 Mackinac Island is a beautiful and relaxing place to visit. 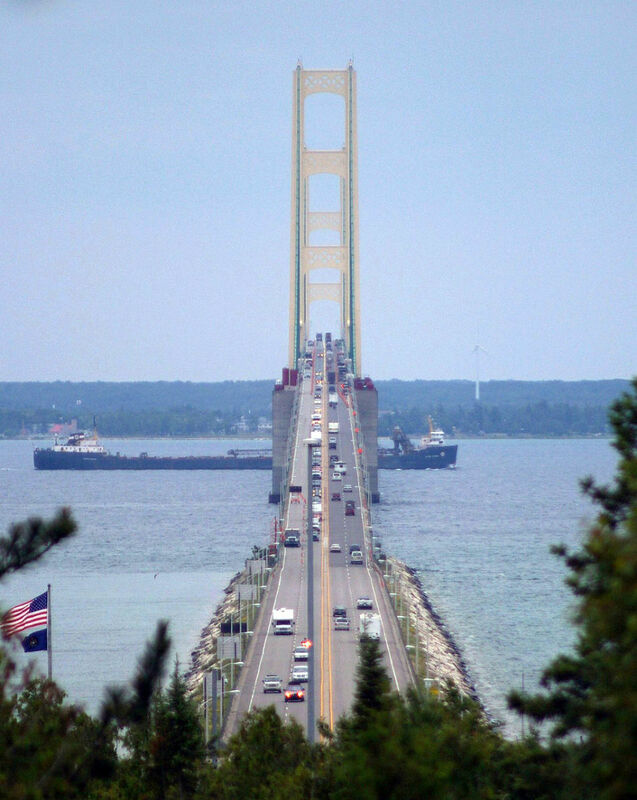 Mackinaw City is at the south end of the Mackinac Bridge and the northern tip of Michigan's Lower Peninsula. 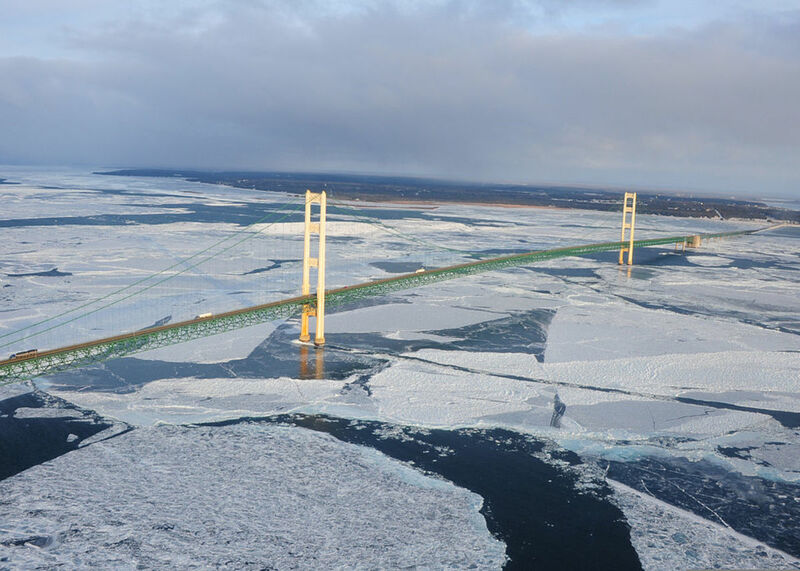 Notice that Mackinac Bridge, Mackinac Island, Straits of Mackinac all end with "c" and Mackinaw City ends with "w." Both spellings have the same pronunciation, but the difference in spelling is thanks to the British and French influences. The French built Fort Michilimackinac in 1715 and named the area Mackinac. 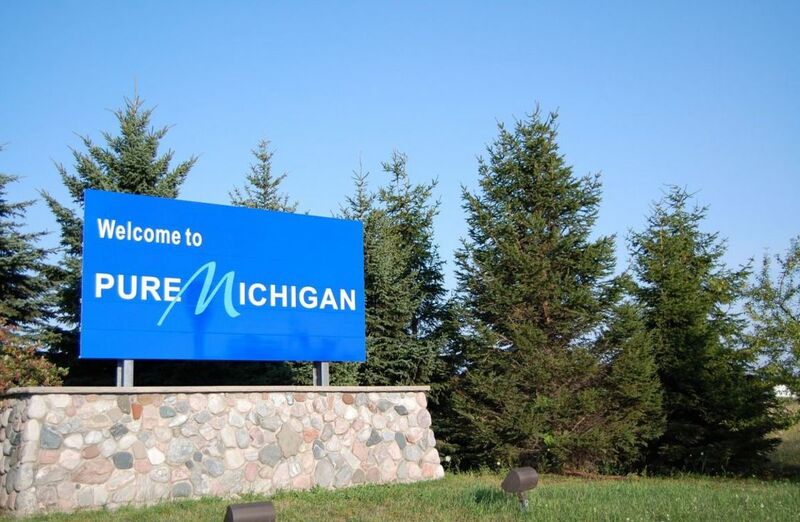 In 1761, the British took control and changed the spelling to Mackinaw. They also changed the name of the fort to Mackinac when they moved it from the mainland to Mackinac Island. Edgar Conkling, in 1857, renamed Mackinac City to Mackinaw City so that the spelling matched how it sounds. 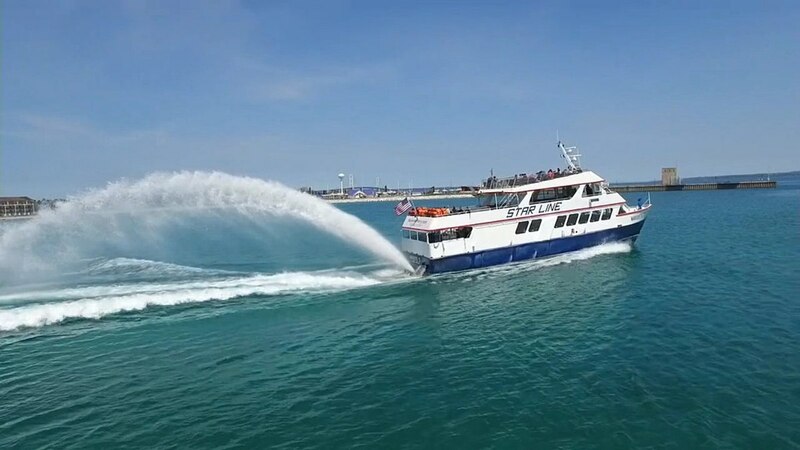 Mackinaw City offers multiple ferries to Mackinac Island as well as lighthouse cruises. 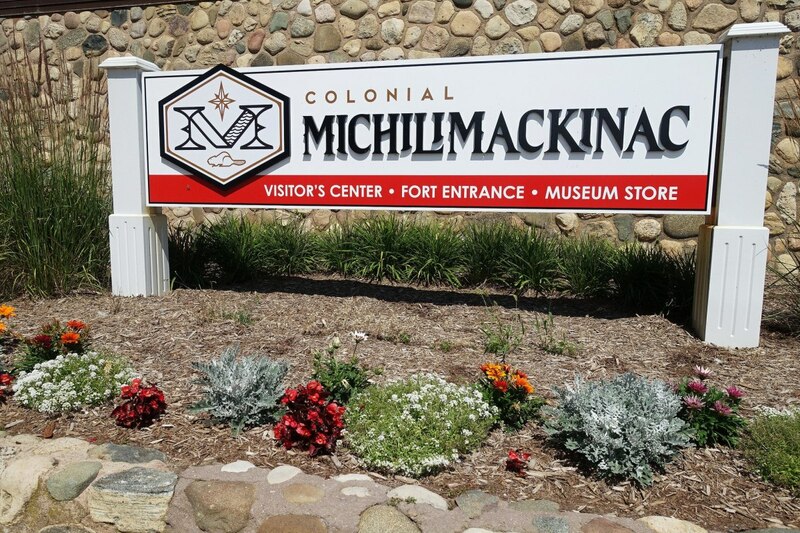 Visitors into history will love Colonial Michilimackinac, which takes them back into colonial times in the British fort. 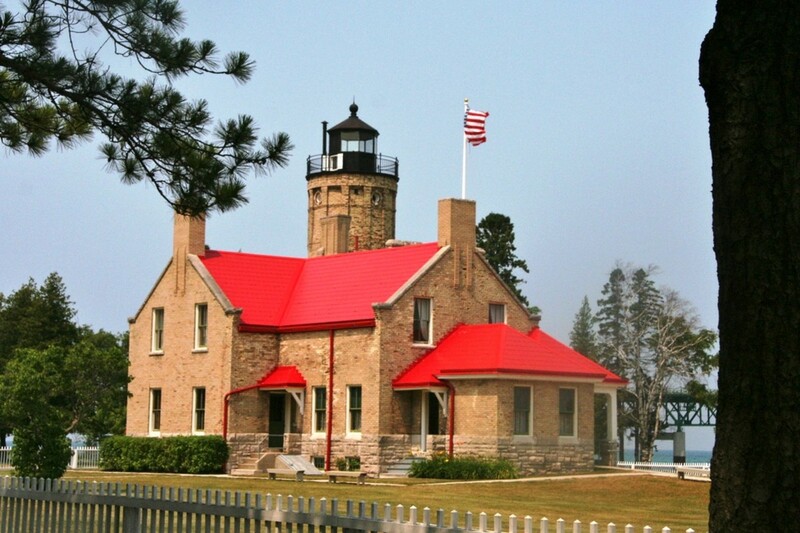 The Old Mackinac Point Lighthouse offers beautiful views of the Mackinac Bridge and Lake Huron. 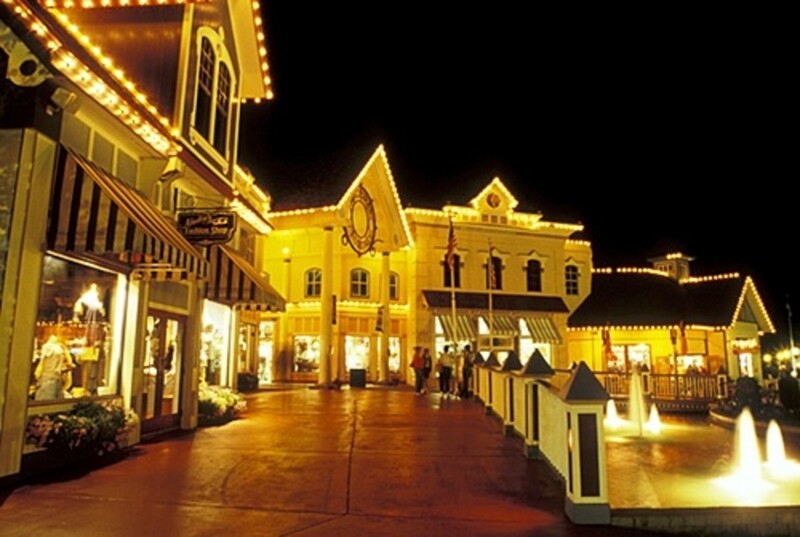 The shops at Mackinaw Crossings are a fun place to stroll around do a little shopping. They have a free laser show every night. 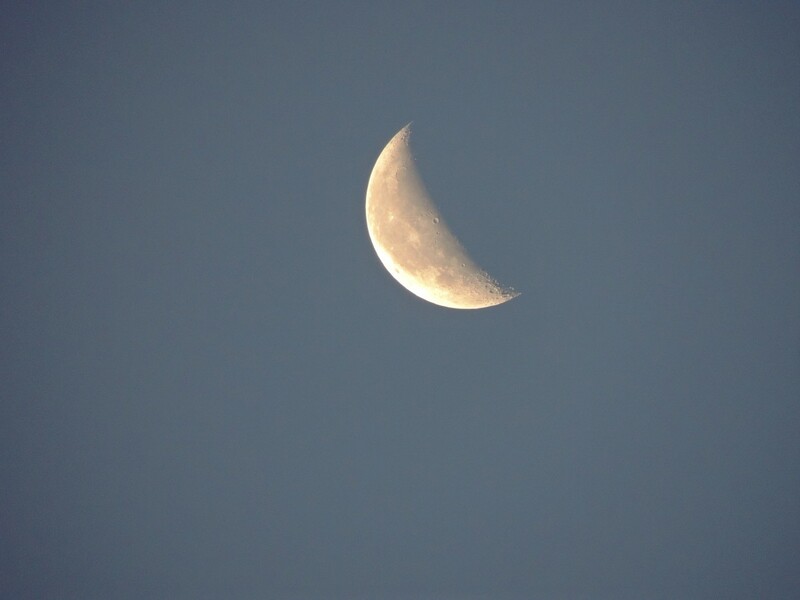 Headlands International Dark Sky Park is an excellent place to watch the sunset as well as to go stargazing. 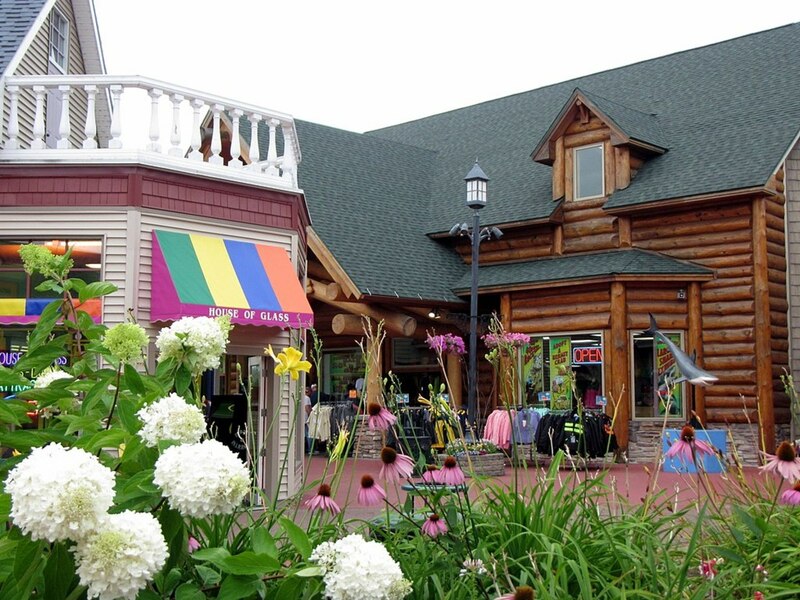 Mackinaw City is a great place to visit on Lake Huron. 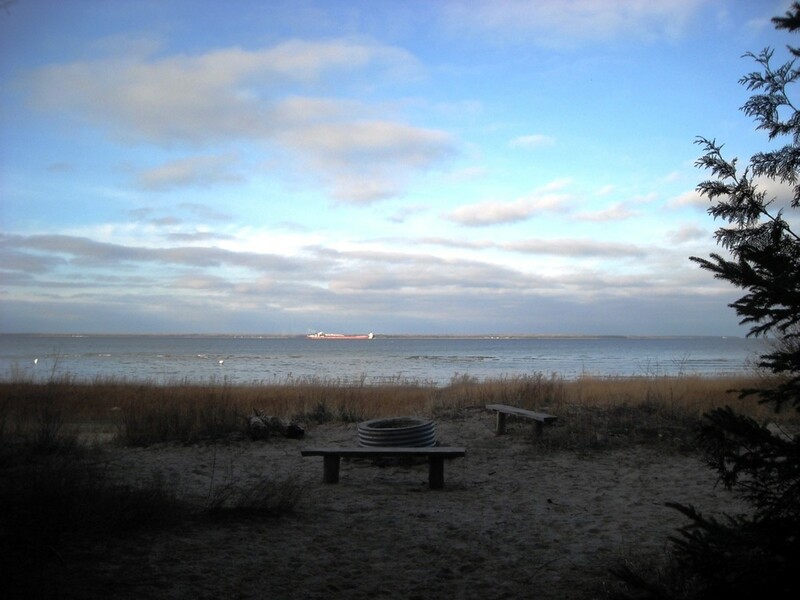 Cheboygan State Park offers beautiful views of Lake Huron. 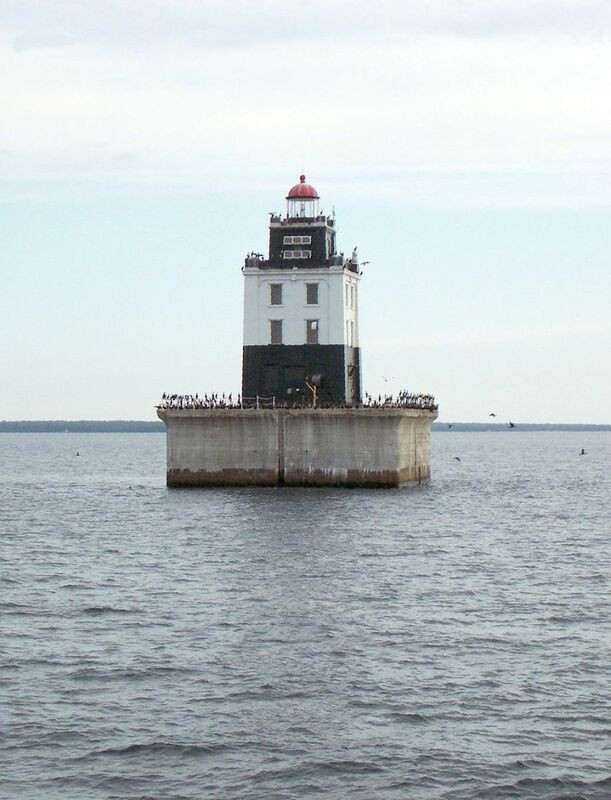 It has around 5 miles of shoreline on the lake and numerous lighthouses. 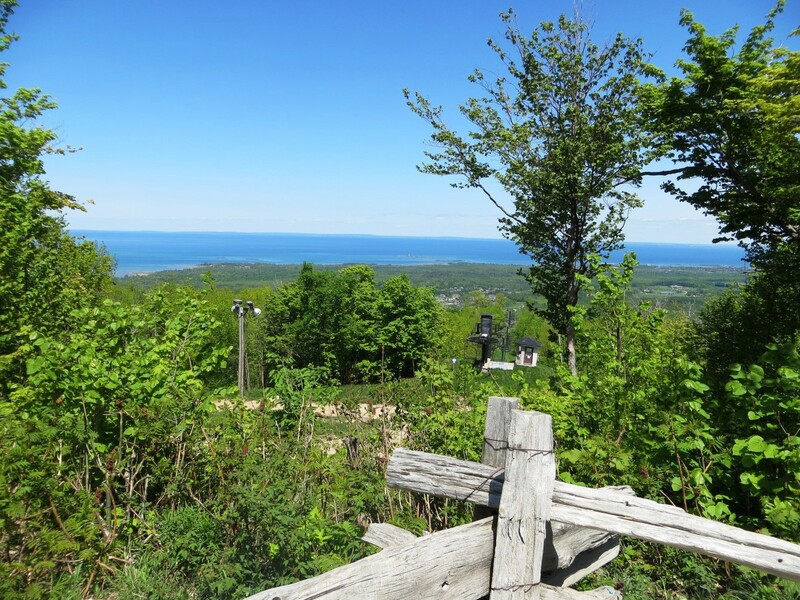 Its hiking trails are well marked and offer views of the lake and wildflowers. 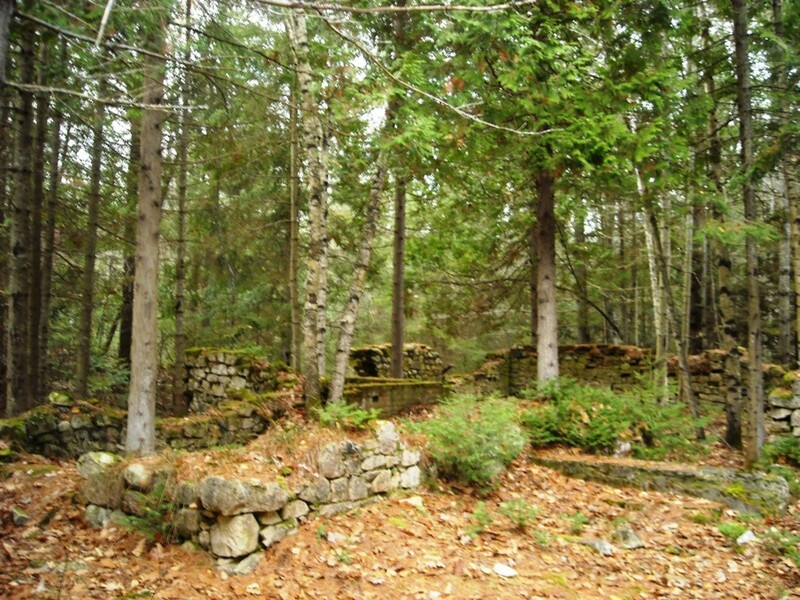 I recommend the Lighthouse Ruins Trail that begins and ends near Duncan Campground. The trail passes through wetlands and along Lake Huron. The park offers a day-use area as well as a modern campground. 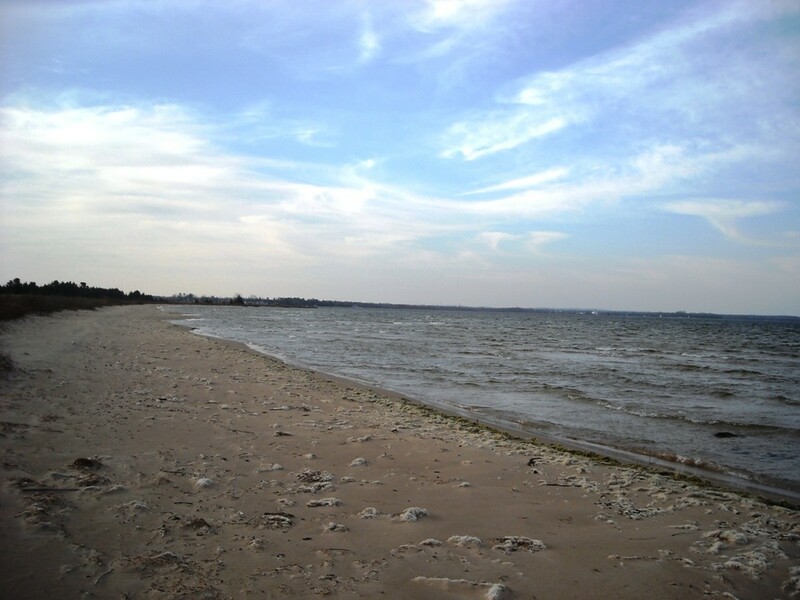 There is also a beach where swimmers can swim near the campground. Visitors can enjoy solitude as this park sees less than 50,000 visitors a year. It is a hidden gem. 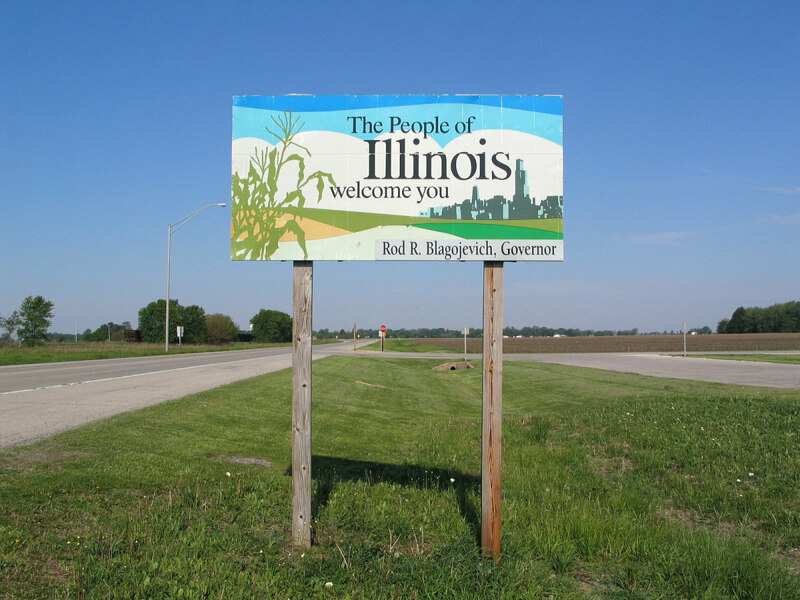 Bay City was first settled in 1837 and became a city in 1865. 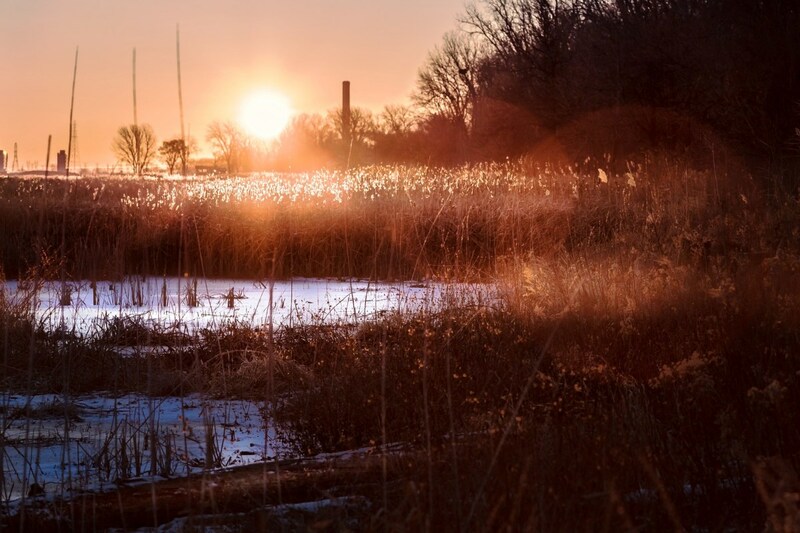 It straddles the Saginaw River near where it flows into Saginaw Bay on Lake Huron. There are a lot of things to see and do there. 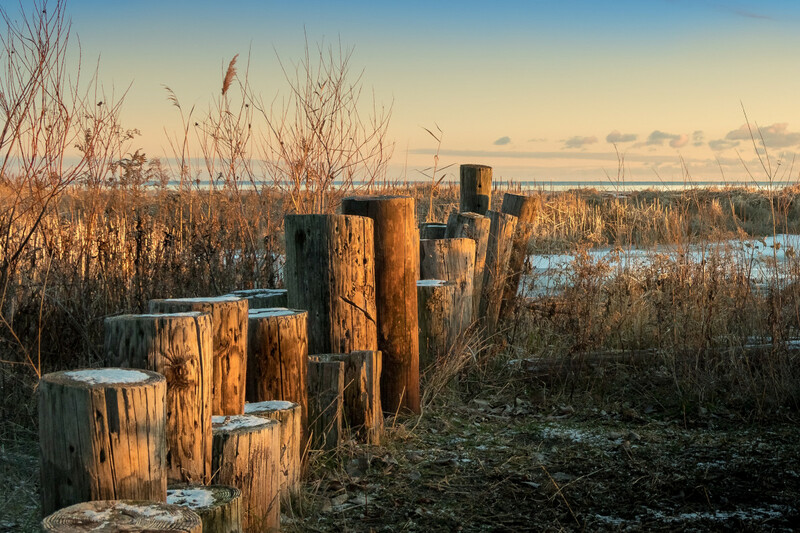 Bay City State Park offers coastal wetlands, over 2,000 acres of wetland woods and marshlands, sandy beaches, and a great place to go birding. It is also home to the USS Edson at the Saginaw Valley Naval Ship Museum. It is a Vietnam era destroyer. Almost the whole ship is open to the public. Kids will enjoy being on a warship. 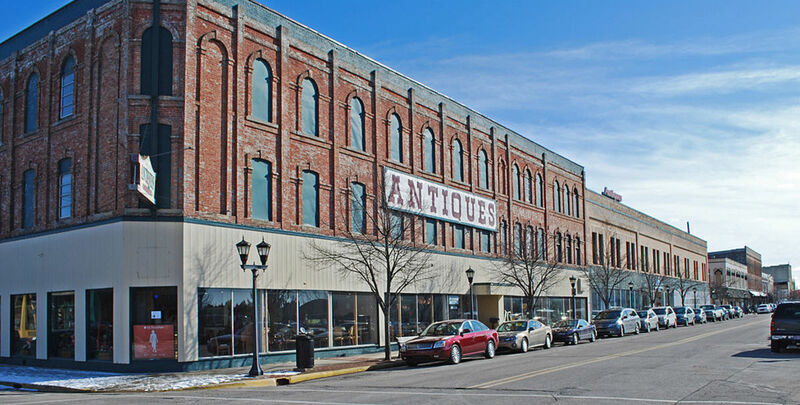 Bay City also home to the largest antique center in Michigan and a cool riverwalk. 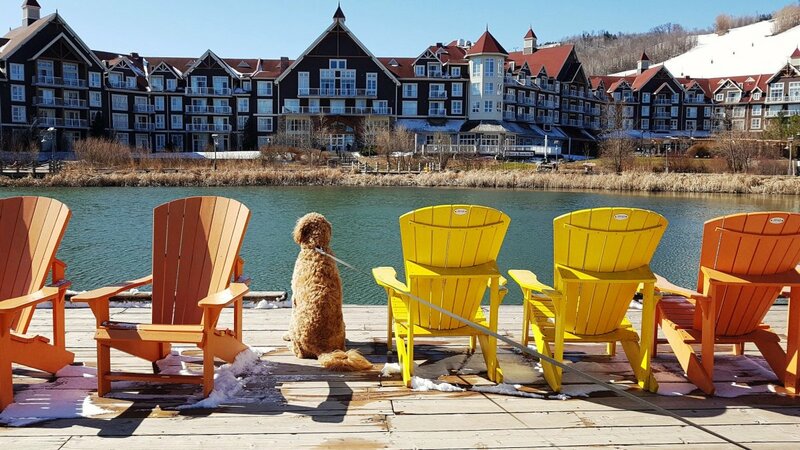 Everyone in the family will find something to enjoy. 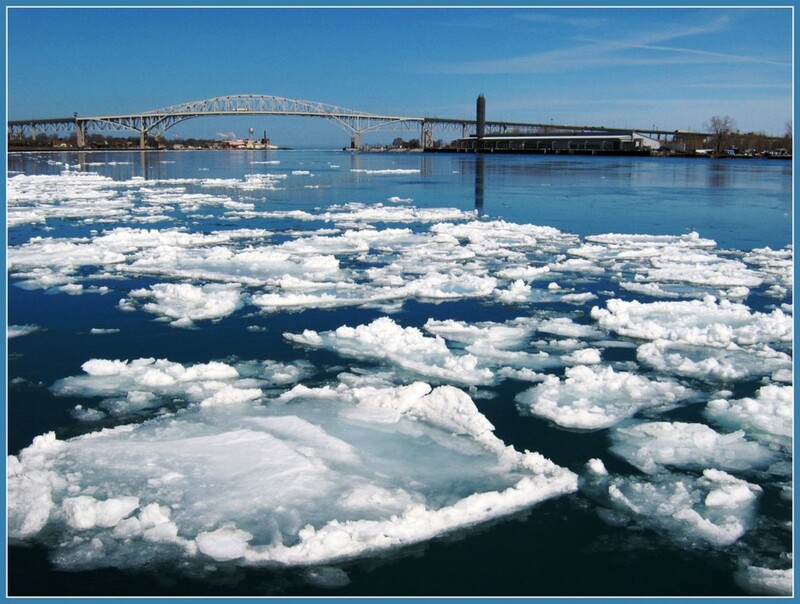 Port Huron is on the United States and Canadian border which is separated by the St. Clair River. In 1814, the U.S. established Fort Gratiot after the War of 1812 ended. The area around it grew because of its successful lumber and shipbuilding industries. It became a city in 1871. 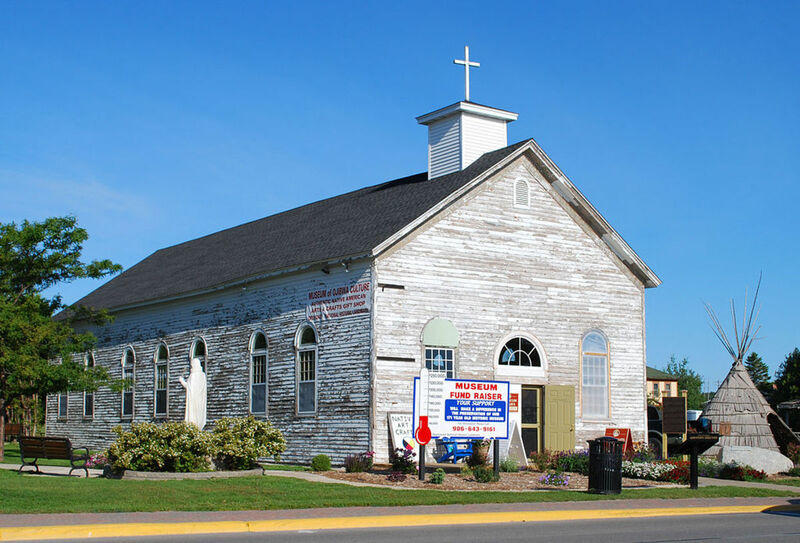 Port Huron has a lot of history to offer visitors. 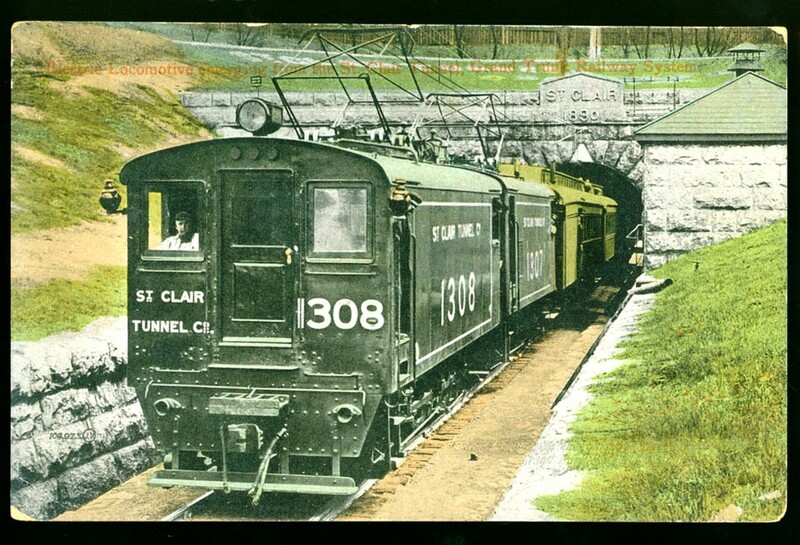 The Grand Trunk Western Railroad Tunnel between Port Huron and Sarnia, Ontario opened in 1891 and is the first international tunnel in the world. 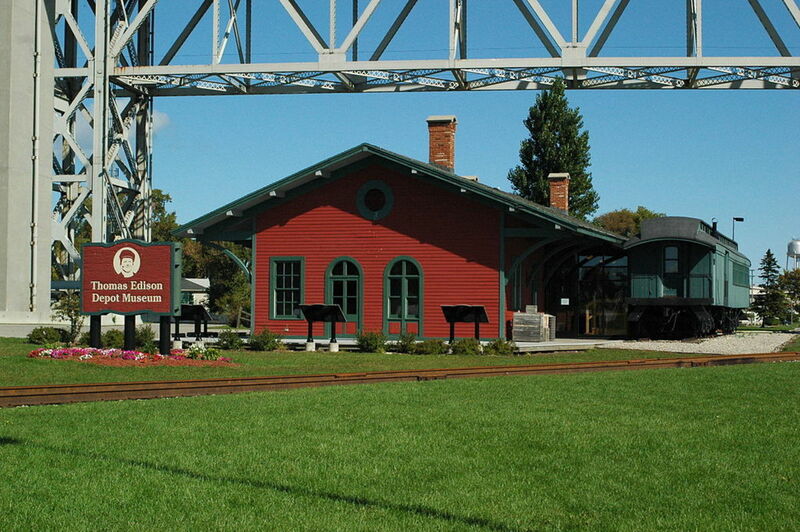 The Thomas Edison Depot Museum is worth a visit. An interesting fact is that Thomas Edison worked as a newspaper reporter out of this depot between 1859 and 1863. The museum gives a good overview of his life. 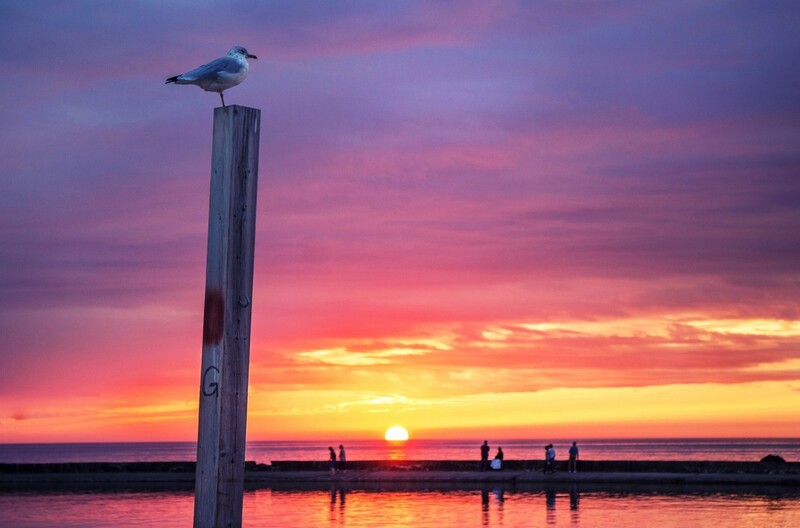 Port Huron offers a lot of outdoor things to see and do. 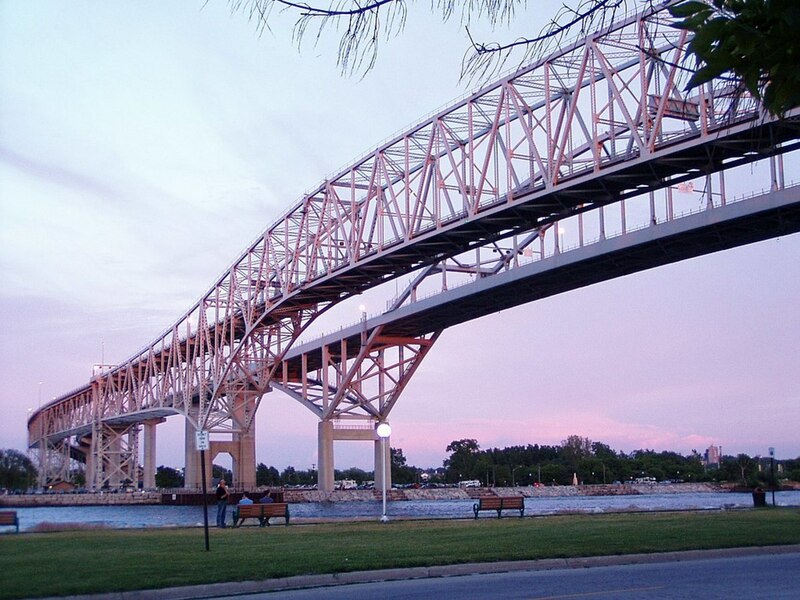 Visitors can take the Blue Water Bridge and crossover to Sarnia, Ontario in Canada. They can also enjoy the beautiful Blue Water River Walk and the Thomas Edison Parkway Boardwalk along the St. Clair River. Both are great places to enjoy the views, try your luck at fishing, or just taking a stroll along the river. 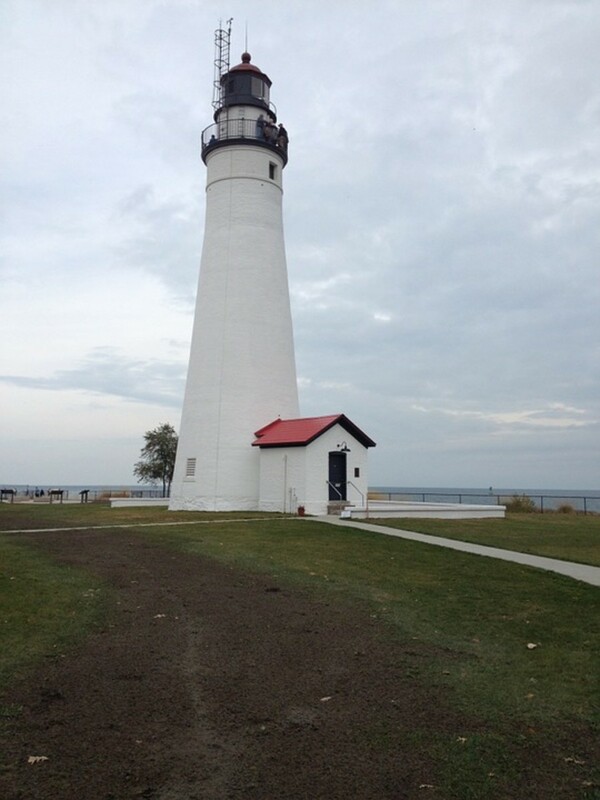 Another place to visit is Fort Gratiot Lighthouse. 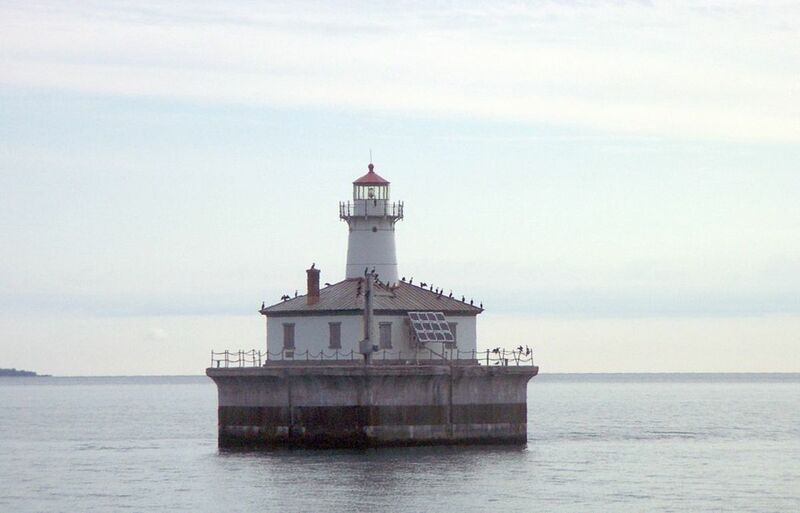 It is located at the mouth of the St. Clair River. Port Huron is a fun place to visit. 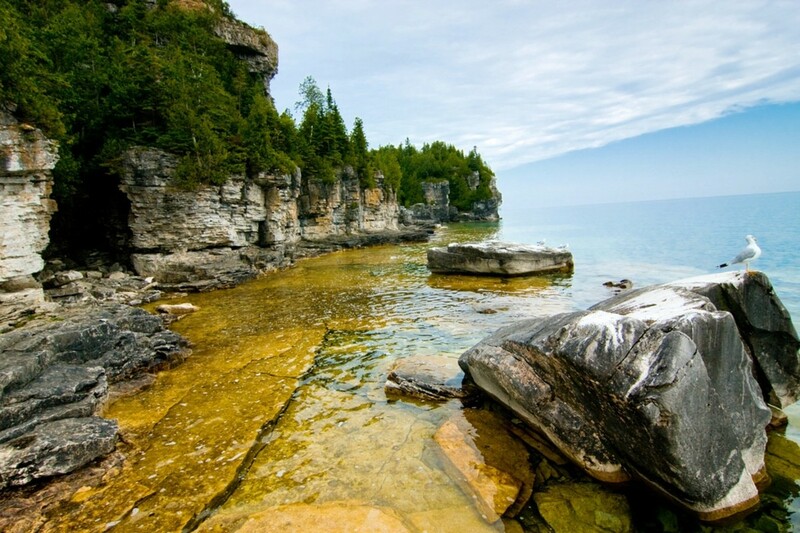 Bruce Peninsula National Park is an outdoor lovers paradise. 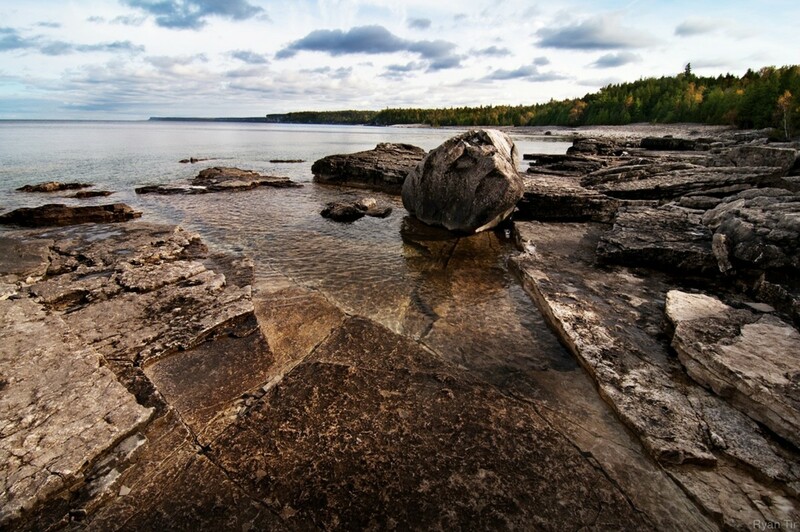 It is on the Bruce Peninsula in Ontario, Canada. Its natural wonders include beautiful limestone cliffs, turquoise waters, lush forests, and more. 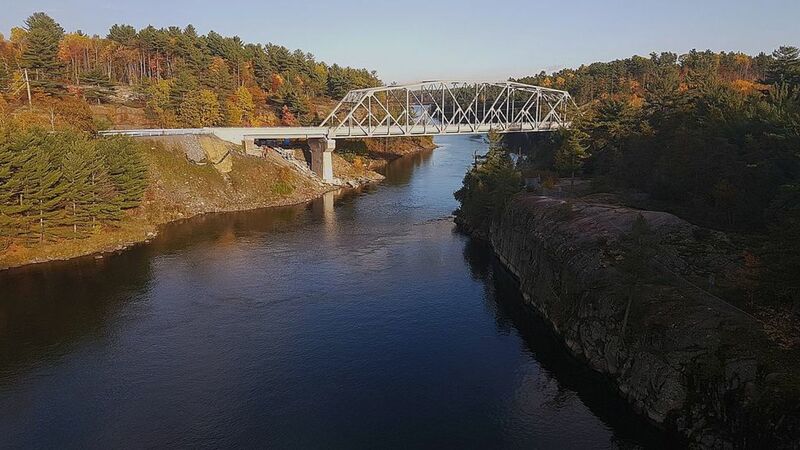 The park offers numerous hiking trails, mountain climbing, birding, wildlife viewing, swimming, kayaking fishing, skiing, snow-shoeing, and more. I recommend checking out the Grotto shoreline cave. It is a cave on the shoreline that has a pool of blue water. It is one of the most popular areas of the park. Another fun thing to do is to reserve a yurt and spend the night along the shores of Cyprus Lake. 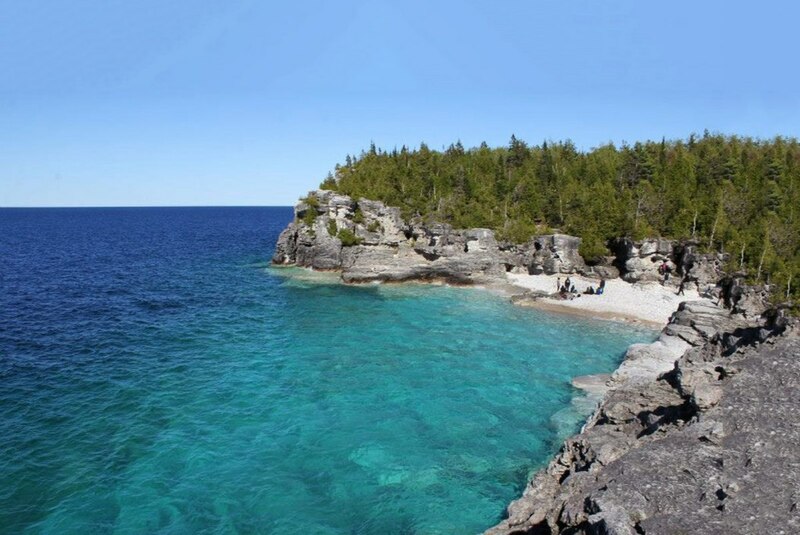 Bruce Peninsula National Park is a tremendous place and worth visiting. The Blue Mountains have something to do in all the seasons. 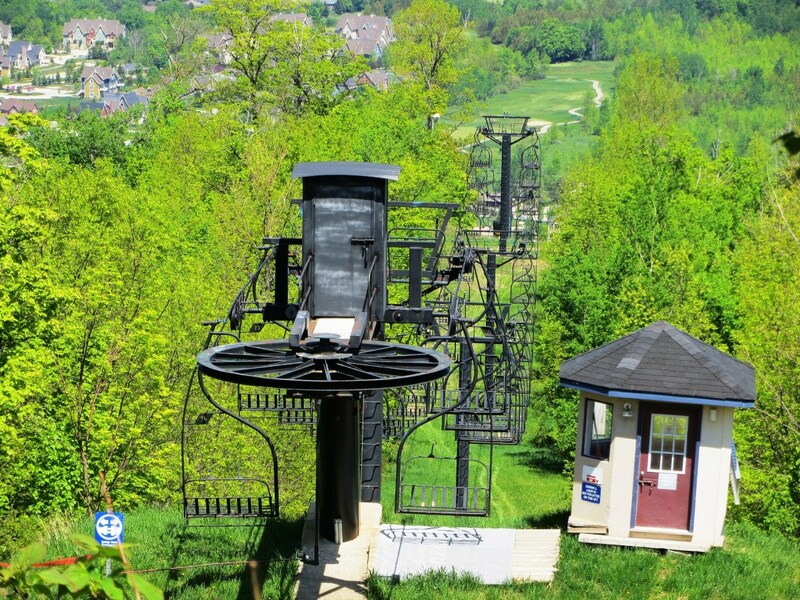 Spring and summer activities include hiking, biking, golfing and ride the Ridge Runner Mountain Coaster. In the fall, it is all about the beautiful color of the leaves. 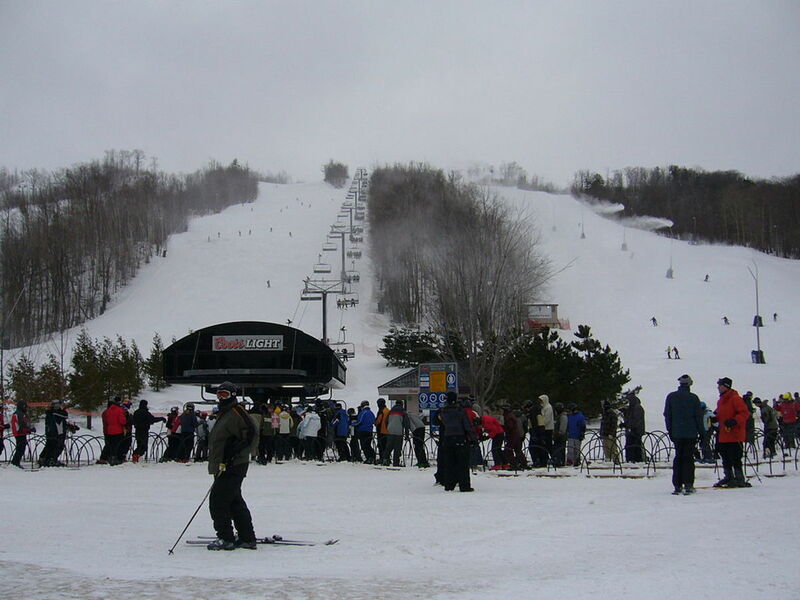 As the weather gets cold, skiing, snowboarding, cross country skiing, and snowshoeing are popular. 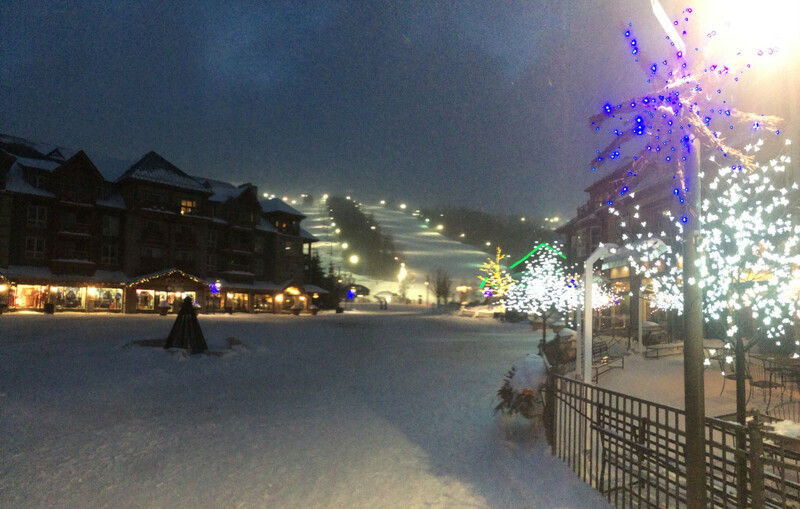 Blue Mountain Village is a great place to shop, visit boutiques, have coffee, eat, or spend time relaxing at the spa. 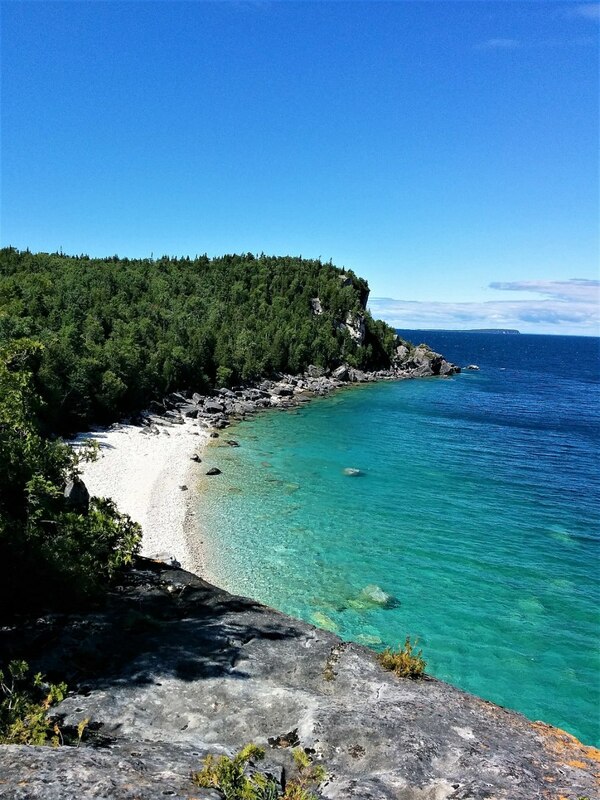 French River Providential Park is on the north side of Lake Huron in Ontario, Canada. 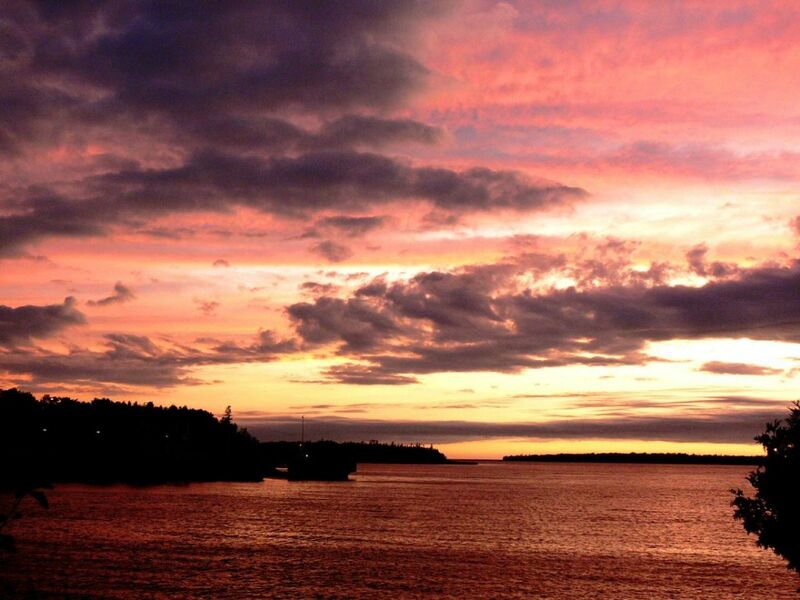 It is full of history as fur traders, French Explorers, and native people have traveled its waters. The cliffs along the river are amazing. The Recollet Falls Trail is a nice hike. 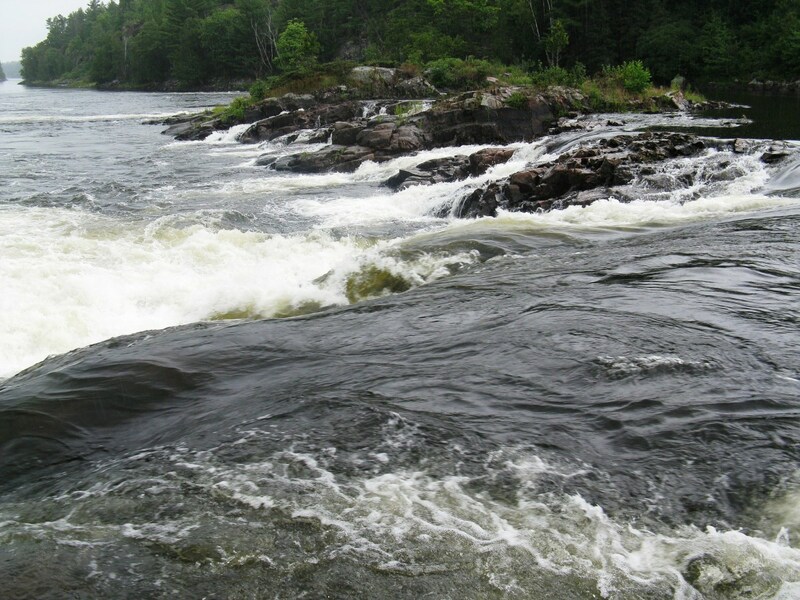 It is about 2.7 kilometers round trip and great for hiking, fishing, and kayaking. The falls are low and wide but still worth checking out. 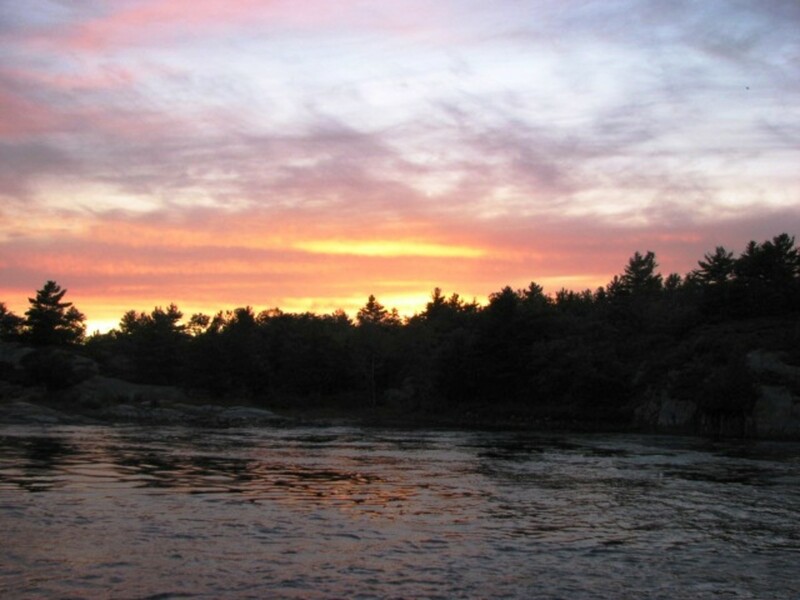 The park also offers camping, backcountry trails, birding, hunting, boating, and swimming. The fall colors are amazing here. French River Providential Park is a great place to go to get away from it all. 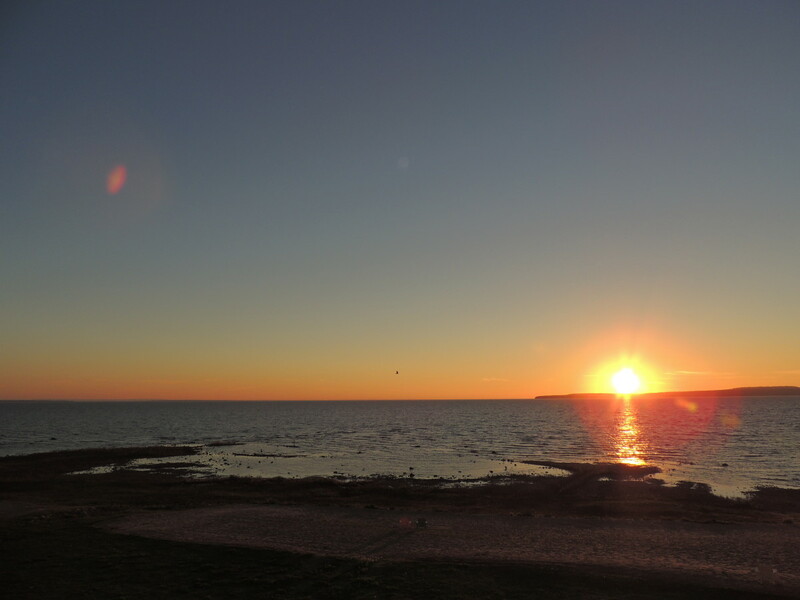 Lake Huron is beautiful. There are so many great and unique places to visit along its shores. I cannot wait to go back and explore more of Lake Huron. This is an extremely well-structured and well-illustrated article. The photos are outstanding.